This park is extremely clean and well-maintained. Landscaping and pool are very nice. Some sites seemed pretty cramped but we stayed in a beautiful site with plenty of room for our 42 ft coach, towed car, outdoor chairs and grill. Also had good privacy hedges, picnic table, and hook-ups. Pad is well-kept gravel and level. Grass on the back of the site. Ask for site #53! 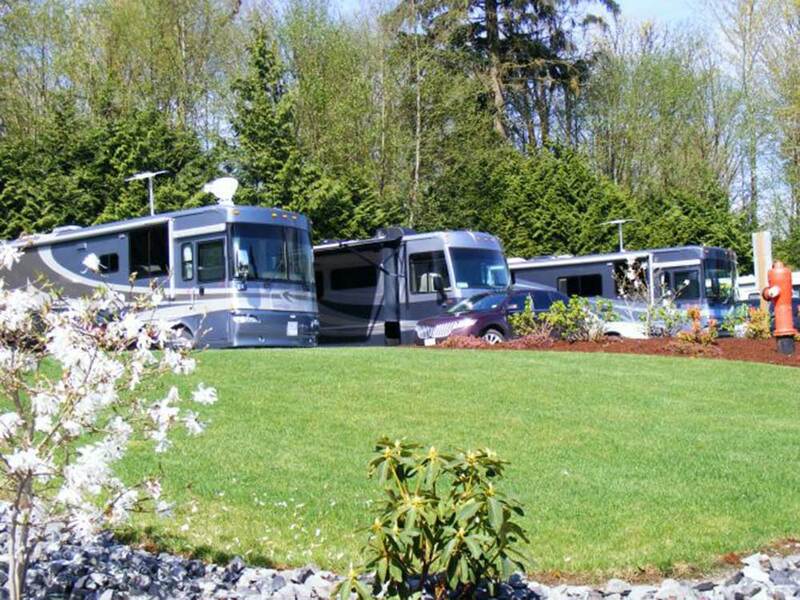 Other RV's in this park are in very good shape. The park itself is pretty quiet but there is traffic noise from the Trans Canada Highway. A car trip to shopping and dining and about a 40 minute drive into Vancouver but totally worth the drive to be able to stay in a park that was this nice and well-priced. We would recommend this place but be wary of those smaller sites. Spacious sites in a well-kept park with an excellent pool and whirlpool. The manager was very helpful by providing information about Vancouver, which is about 40 minutes away, or 15 minutes from a Skytrain station into Vancouver. Not much going on in Aldergrove that we saw when we were there.